The ultimate drill collection from basketball's best! Two of the game's winningest coaches - Tennessee's Pat Summitt and Texas' Jody Conradt - share their favorite drills that have helped produce over 1,800 victories! Fellow NCAA National Championship head coaches Nancy Fahey, Brenda Frese, Wendy Larry, Muffet McGraw, Amy Ruley, and Tara VanDerveer combine with over 40 more of the game's legendary minds to bring you their game-winning drills and strategies to create The Women's Basketball Drill Book, the most comprehensive basketball drill book ever published. Whether you wish to develop new skills or fine-tune your game, rely on the drills that have produced a combined 21 NCAA National Championships. 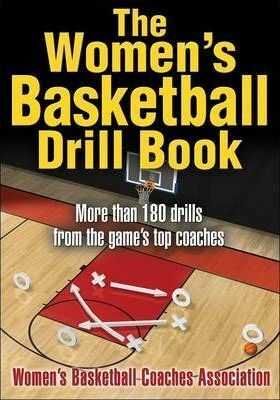 The Women's Basketball Drill Book is the one and only drill book you'll ever need! Founded in 1981, the Women's Basketball Coaches Association (WBCA) promotes women's basketball by unifying coaches at all levels to develop a reputable identity for the sport of women's basketball and fosters and promotes the development of the game in all of its aspects as a sport for women and girls. With members throughout the world, it is the largest organization of its kind. The WBCA is involved in a variety of events and clinics throughout the year, including the WBCA High School All-America Game; the Betty F. Jaynes Internship Program; the Nike So You Want To Be A Coach Program and the annual WBCA National Convention, held in conjunction with the NCAA Women's Final Four. Through these events, the WBCA not only highlights exceptionally talented female players but also provides opportunities for coaches at all levels to better themselves. In addition to the activities that the WBCA puts on and sponsors, the organization has an extensive awards program through which the best, brightest, and most talented athletes, coaches, and contributors to women's basketball are honored. The WBCA also provides coverage on all aspects of women's basketball, from high school to the pros, through their three publications: Coaching Women's Basketball, Net.News, and Compliance Corner. For more information on these and the many activities and opportunities available from the WBCA, check out www.wbca.org.